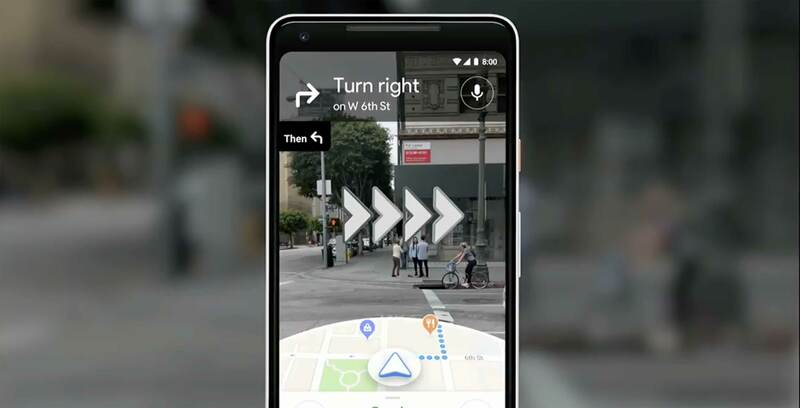 Google Maps’ fancy new augmented reality navigation feature is taking its first few steps into the real world as it begins rolling out to select testers. Shown initially at Google I/O 2018, the futuristic feature ditches traditional 2D maps and GPS navigation for your phone’s camera and 3D directions overlayed over the world around you. GPS navigation can be a bit unreliable. I can’t count the number of times I’ve come out of the subway, pulled out my phone to check which way I needed to go, and walked half a block before realizing GPS had me in the wrong spot, and I should have gone the other way instead. Those of you who have had that problem, well, this feature is for you. Google Maps’ AR mode uses the camera on your phone to scan your surroundings, picking out buildings and landmarks to help pinpoint your location. GPS is still involved in the process — it tells your phone roughly where you are. Then, the device matches your surroundings to Street View data to get a better sense of your position. Once located, the app places a hard-to-miss 3D arrow on your screen pointing the direction you need to go. When you start walking, a blue sign will appear to tell you how far until your next turn. When you reach the corner, another arrow shows you which way to go. Finally, a giant red pin will mark your destination in the real world. As cool as it is, the AR feature isn’t for use when driving, and it’s not designed to be the primary navigation tool. Instead, Google intends the function for those moments when you aren’t sure where to go — when you come out of the subway and the blue dot is a half block away, and you turn left instead of right. To keep you from overusing it — and to help save battery life and data — Google Maps will prompt you to put the phone down after a few seconds and eventually it’ll darken the screen if you don’t. When you do lower your phone, the app automatically reverts to the standard 2D map. While sometimes these alerts can get in the way of navigation, they’re for the best. The fewer people that are wandering around staring at their screens, the better. Additionally, Maps’ AR mode is still in testing. The feature has already undergone several revisions, and Google says it won’t release it to everyone until its ready. However, Google is rolling it out to a few ‘Local Guides’ soon. Local Guides are the service’s most dedicated reviewers and users, and they’ll get the first crack at testing the new feature. In other words, it may be a while yet until we get our AR navigation future, but not too much longer.